In our rapidly evolving food industry it is no small task to keep up with customer’s changing tastes and stay ahead of the competition. The Merrychef brand, with almost 70 years’ experience, is at the forefront of designing and manufacturing high speed ovens; today’s Merrychef eikon® range delivers restaurant quality food, consistently with every order, at a pace customers demand, whilst addressing your challenges of reduced kitchen space, untrained staff and limited budgets. 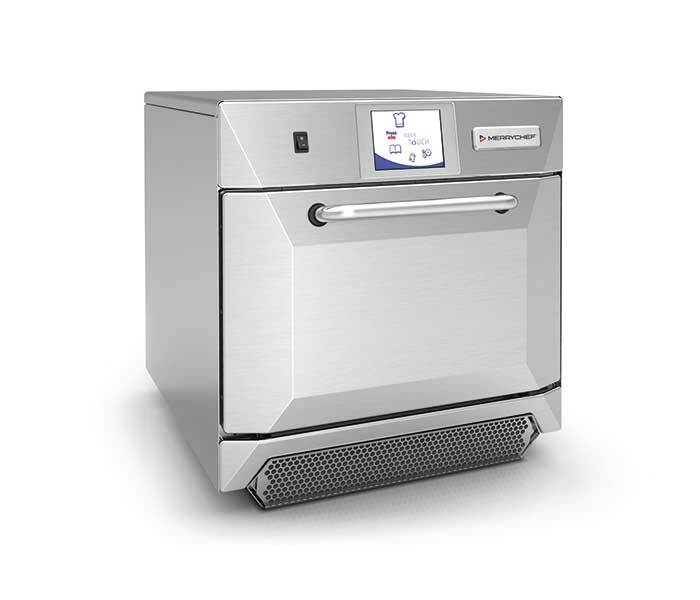 Leading in technology, the Merrychef eikon® range combines convection, impingement and microwave heating to cook up to 20x faster than a conventional oven. A versatile, all-in-one unit able to cook, toast, grill, reheat and bake reducing the need for many other cooking appliances. 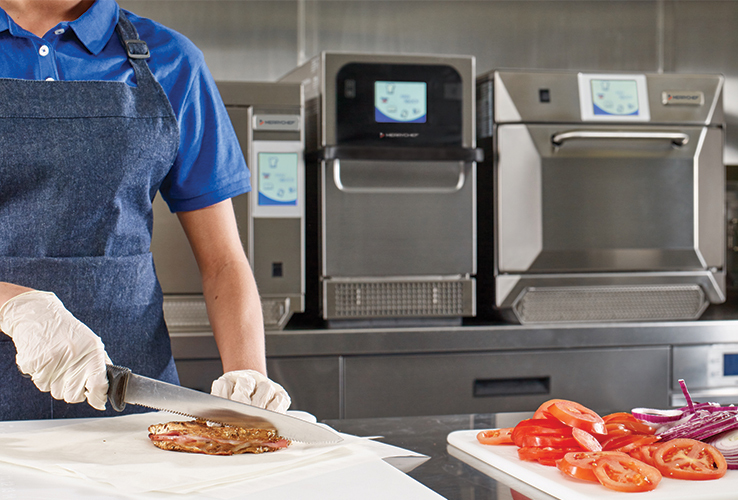 An innovative easyTouch® icon-driven touchscreen means it is easy to use even for untrained staff; the icons overcome any language barriers, minimising errors and food wastage. 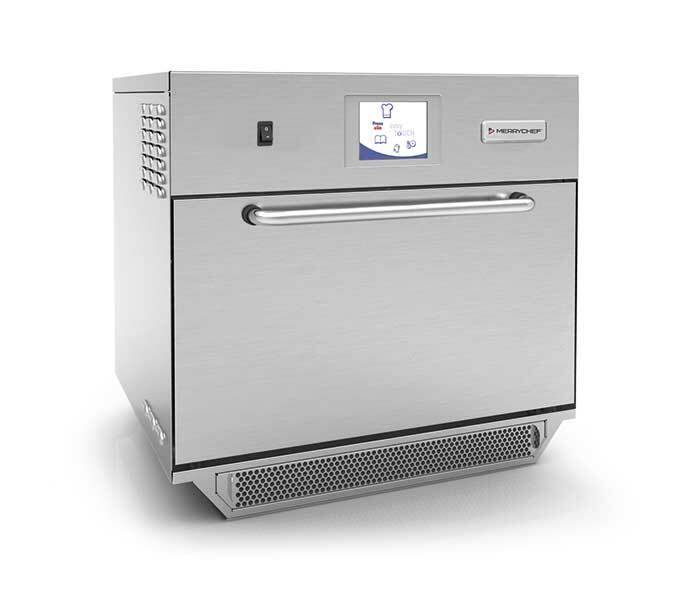 Together, with easy installation and best in class energy efficiency, the Merrychef high speed oven range delivers a strong return on investment for any food operation. A stylish front-of-house choice, guaranteed to beat the queues with a cook speed of up to 20x faster than a conventional oven. 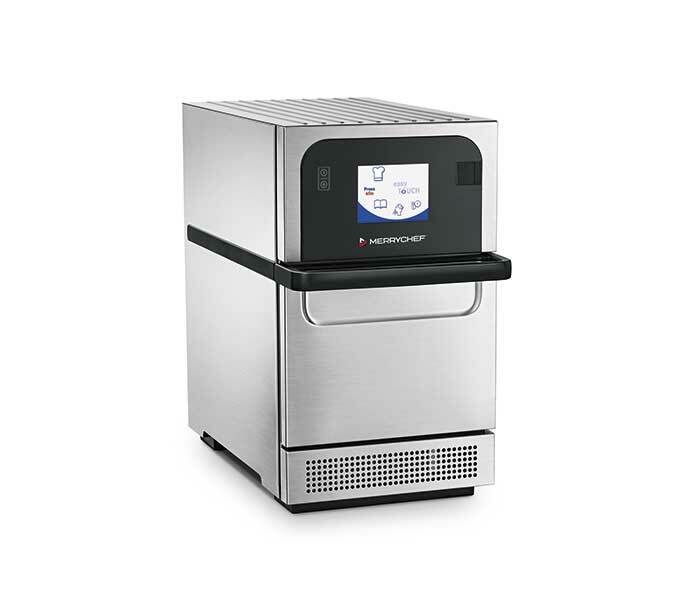 The Merrychef eikon® e2s delivers the highest throughput of food without compromising on consistency or quality. Perfect for cafés and bars wanting to offer restaurant quality menus. A flexible three-tiered high speed oven with a rotating turntable for even browning makes the Merrychef eikon® e3 ideal for cooking delicate items like croissants, and freshly baked products. At speeds of up to 5x faster than a conventional oven, this is the ideal cooking solution for any bakery or small café. The speed of service, 20x faster than a conventional oven, high quality food and consistent results for every order, makes the Merrychef eikon e2s perfect for the ‘Food on the Go’ market. Pre-programmed menus and an easyTouch® icon-driven touchscreen makes it easy for untrained staff to use, the icons overcome any language barriers and reduce errors. The Merrychef eikon e3 offers the versatility and adaptability a convenience store needs to meet customer demand at any time of day. Its three-tier cavity and rotating turntable allows for a broad range of cooking from delicate croissants through to batches of breakfast items. An easyTouch® icon-driven touchscreen makes it is easy to use even for untrained staff. An all-round high speed oven suitable for a busy kitchen, able to cook large volumes of high quality food at speeds up to 15x faster than a conventional oven. Its versatility to cook, toast and reheat from both fresh and frozen foods, including higher protein meals makes the Merrychef eikon® e4 perfect for convenience stores. An easyTouch® icon-driven touchscreen makes it is easy to use even for untrained staff. Consistent cooking up to 20x faster than a conventional oven makes the Merrychef eikon e2s the first choice for the ‘Grab and Go’ market. Designed to provide the highest quality food, that can be repeated with every order all day long and delivered in a competitive fast-paced environment. Easy to use even for untrained staff due to an easyTouch® icon-driven touchscreen and a range of pre-programmed menus. and frozen foods and is wide enough for 14” pizzas or 4 x subs. An easyTouch® icon-driven touchscreen makes it is easy to use even for untrained staff. The Merrychef eikon e4 provides an additional appliance for any busy kitchen, quickly managing a range of cooking operations freeing up other core kitchen appliances. Able to cook large volumes of high quality food at speeds up to 12-15x faster than a conventional oven. The easyTouch® icon-driven touchscreen allows for ease of use with the flexibility to customise menus. 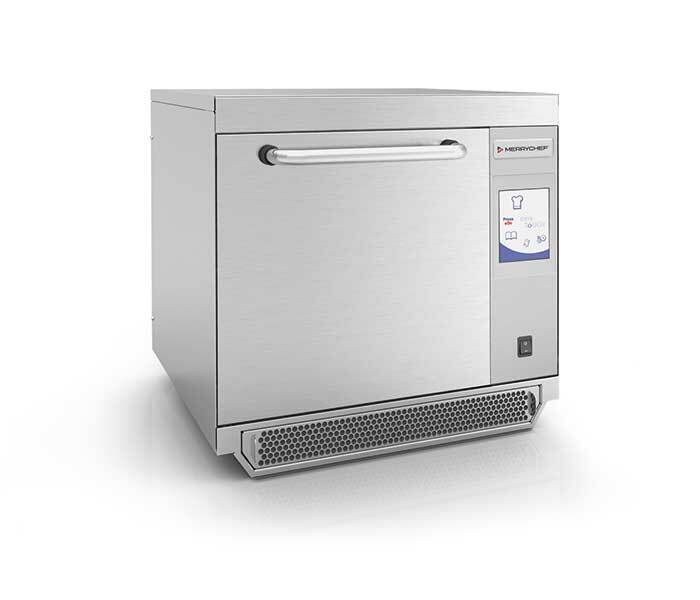 An integral appliance within the heart of a full-service restaurant, the Merrychef eikon e5 and its 2/3 Gastronorm cavity can add versatility to your kitchen with its ability to cook a full range of dishes up to 5x faster than a conventional oven. Used as a bake-off oven or to cook a large quantity at once, it can be pre-programmed for ease of use or tailored to meet customer needs.